The Good Things In Life Are Those That Are Handpicked. Gifting Ideas brings you its most exclusive catalogue till date - The Good Stuff Catalogue. Each of its 950-odd products has been personally selected by us to ensure that you choose from a collection of the very best gifts we have to offer. 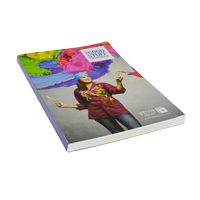 Elegant, modern and sophisticated, it is one of the most attractive catalogues available in the market. 950-odd products handpicked by us to ensure a collection of the very best products, which are generally in stock with us and can be delivered promptly anywhere. 11 categories with gifts in Travel & Outdoor, Home & Living, Leisure & Games, Office Tools, Tools & Lights, Prized Possessions, Apparel, My Choice, Writing, Yash Raj, and Green Piece for eco-friendly gift options. In addition to these, you'll also find a brand new category - Tech+ for all the latest gadgets and accessories. From the fashion capital of the world comes a stylish catalogue of gifts. 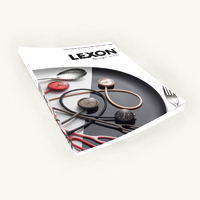 LEXON is one of France's leading design agencies and the unique gifts in their catalogue are part of our diverse range. Over 20 world-renowned designers come together under this international label to give you products that are sold successfully in over 60 countries across the world. LEXON's products are so distinctive that some have made history on the cover of magazines like Time, Elle and Newsweek. Yet others have been displayed in Design Museums like the Pompidou Centre in Paris, the Philadelphia Museum, the MoMA in New York and the Modern Art Museum in Jerusalem as examples of truly exceptional works of design. The collection from the house of LEXON includes some great eco-friendly options as well as some fresh, innovative designs for you to choose from across categories such as Travel, Outdoor, Personal as well as Desktop. So now you can go shopping abroad without even leaving your home. You can choose an ordinary gift or you can choose one from the house of XINDAO (Holland). This international design agency comprises of a team of talented designers who specialize in creating a wide range of innovative gifts. No surprise then, that several of these gifts are winners of The Promotional Gift Award as well as The Red Dot Design Award, considered to be the Oscars of the gifting industry. What’s even better is that all of these extraordinary gifts are brought to India through Gifting Ideas and can soon be yours. From eco-friendly options to outdoor tools, stylish luggage and lifestyle products, every item in this catalogue is not only unique in design but also practical to use and easy on the wallet. Gifting Ideas brings to you a wide range of CROSS accessories for the ambitious individuals working in your company. A great gift for internal and external marketing activities, CROSS products convey your intention to gift good quality with great style. 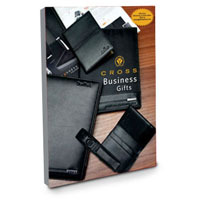 Flip through the CROSS Business Gifts catalogue for stylish business accessories. Get attractive discounts on bulk orders for CROSS products. 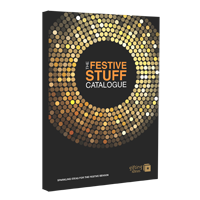 Gifting Ideas brings to you The Festive Stuff Catalogue which has been specially compiled to make the festival of lights even brighter for you this season. Inside, you'll find over 650 products selected exclusively for Diwali gifting and this includes 400 new products and new brands like Marksman, Bajaj, Morphy Richards, Delsey, Nokia, HideKraft and many more. The products that span over several categories such as Office Tools, My Choice, Writing, Leisure & Games, Home & Living, Travel & Outdoor, Tools & Lights and Apparels have been sorted by Price Range for your convenience with prices ranging from below Rs.250/- to above Rs.10,000/-. So now you no longer have to search various sources for that perfect Diwali gift, because if you just browse through these pages, we're sure you'll find what you're looking for â€“ whether it's something unique, branded or impressive. 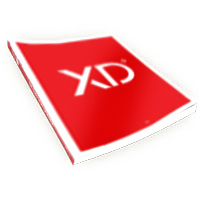 XD Design offers the perfect gift for any occasion! They are a proud Dutch Design brand, with offices all over the world and over 30 years of experience. Their design studio is run by ambitious in-house designers from all over the world. They create relevant & sustainable products for affordable prices. They strive to take every day products to a higher lever by adding design both in an emotional and functional sense, or as they call it: Affordable Uniqueness! 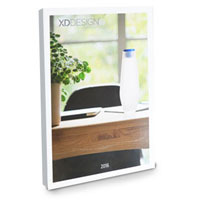 XD Design believes that the strain that is currently put on our eco-system is too much to bear, it is inevitable that we have to start caring for our planet. Throughout every step of the development process they consider the impact it will have on the environment, starting with the product function but also its material and packaging. Sustainable design is their DNA. They come up with everyday products that are original, accessible and functional. Affordable design that improves your daily life.